Worldwide icon-chevron-right North America icon-chevron-right United States icon-chevron-right Illinois icon-chevron-right Chicago icon-chevron-right Extreme smackdown! We compare two exhibits about some of nature’s most unusual creatures. 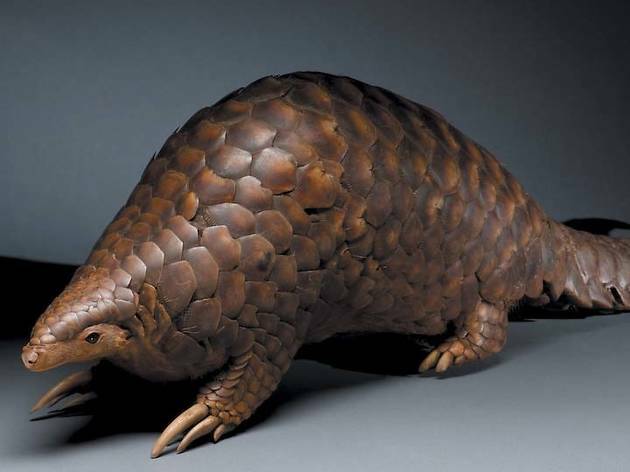 Photograph: © AMNH/Denis FinninThe Chinese Pangolin is one of several extreme mammals on display at the Field Museum. 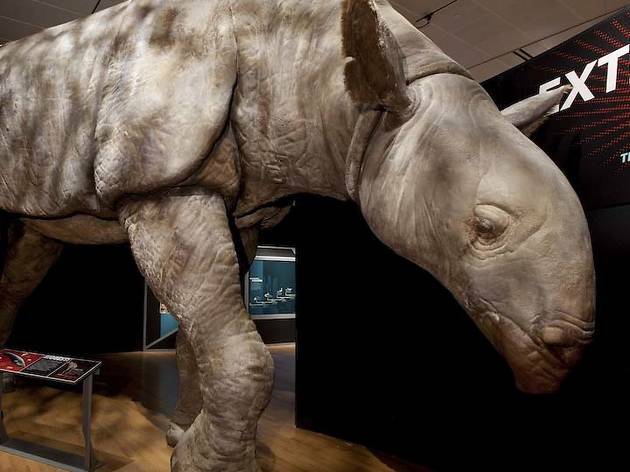 Photograph: Courtesy of The Field MuseumA re-creation of a Brontothere will be among the extreme beasts at the Field Museum's "Extreme Mammals" exhibition. 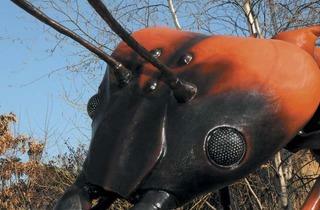 Photograph: Courtesy of Brookfield ZooGiant animatronic bugs invade Brookfield Zoo for the "Xtreme Bugs" exhibition. 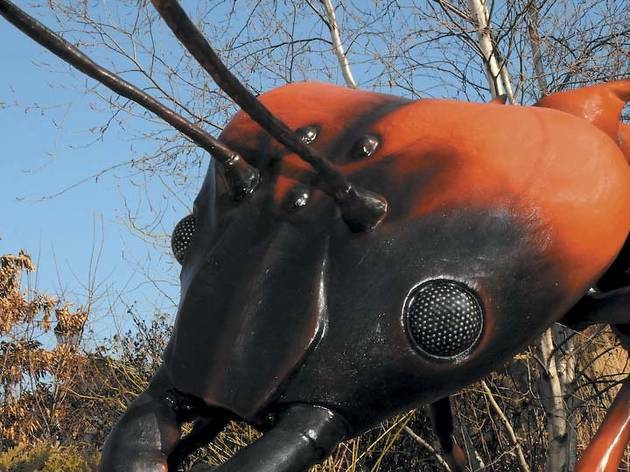 Photograph: Courtesy of Brookfield ZooCheck out oversized animatronic insects at Brookfiedl Zoo's "Xtreme BUGS" display. Photograph: © AMNH/Denis FinninThe Indricotherium is one of dozens of extreme mammals on display at the Field Museum. 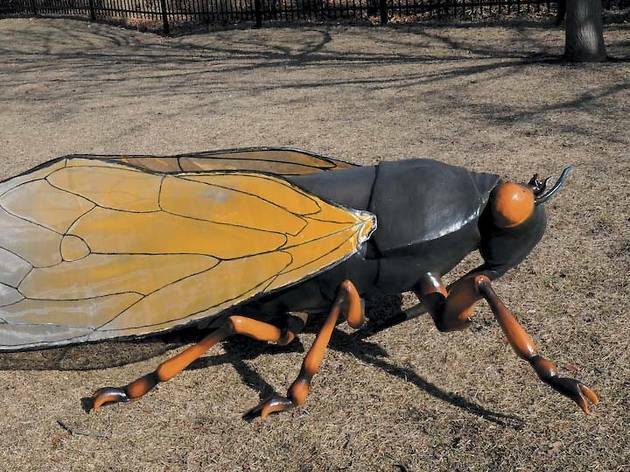 On May 19, Brookfield Zoo opened “Xtreme BUGS,” which features 22 colossal animatronic insects, 150 stationary sculptures and 5,000 square feet of creepy-crawly live specimens. 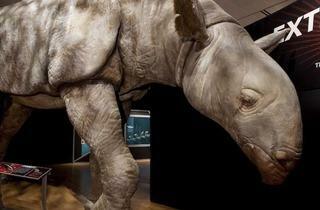 Across town, on May 26, the Field Museum debuts the traveling exhibit “Extreme Mammals,” featuring realistic models, taxidermy and specimens of the strangest warm-blooded animals ever to roam Earth. The extreme spring exhibits have us wondering—which show is the most intense? We pit the two in a friendly contest of extremes. 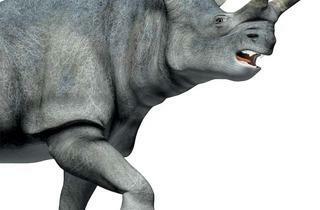 The indricotherium, an ancient rhinoceros, is the largest land animal ever, weighing around 30 tons. See a touchable replication with simulated skin. Kids can wrap their arms around its six-foot-tall legs, and an adult can walk clear under its belly. 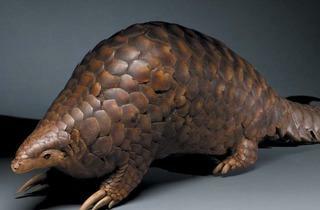 When danger nears, the Asian pangolin rolls up into a ball like an armadillo and links the plates of its armor-like flesh together. That’s not too scary, but the foul-smelling spray that follows sure is. Fortunately, you can’t get sprayed by a pangolin in a taxidermy display. 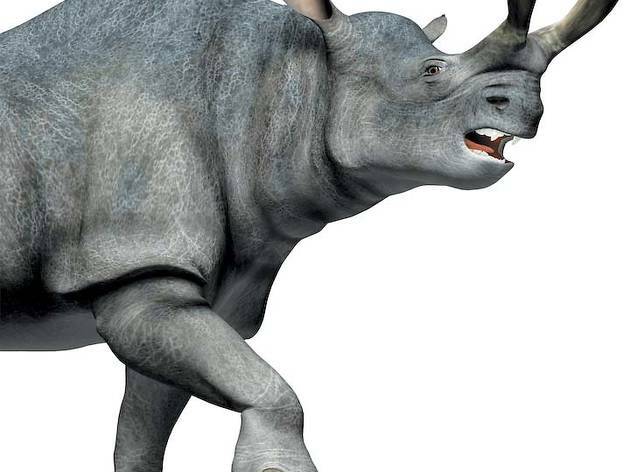 The brontothere, an extinct mammal, looks like an animal from a science-fiction movie where brontosaurus and rhinoceros are crossbred. The Field Museum owns the world’s largest-discovered brontothere skull, which is the first thing visitors see outside the exhibit’s Stanley Field Hall entrance. View the dire wolf (you might know a mythical version from Game of Thrones) in an anatomically correct illustration. The modern-wolf relative lived about 1.8 million to 11,000 years ago in North and South America—until humans overhunted it. All mammals can be traced back to an early group with a core set of characteristics such as four limbs. While humans have four limbs, we’re the only mammal to spend our adult life walking on only two of them. In a computer interactive, kids can find out how monkeys are able to swing or how bats manage to fly. Watch a giant moving animatronic version of the largest centipede in the world, commonly known as the Peruvian centipede; from antennae to tail, the replica spans 21 feet. 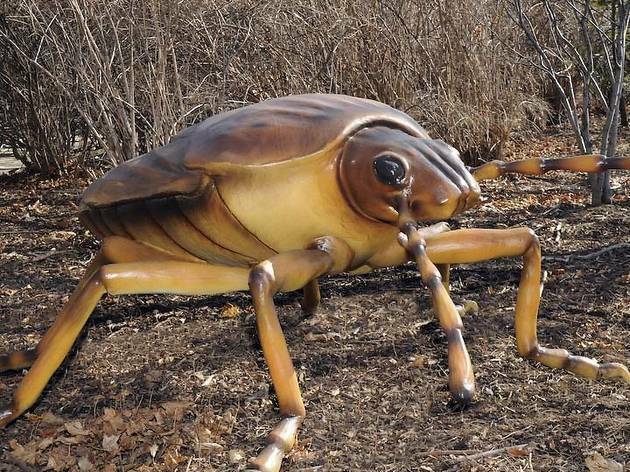 Dinosaurs Unearthed (the company behind Dinosaurs Alive, the animatronic dinosaur show that came to the zoo in 2009) created 22 stationary bugs with anatomically correct limb mobility. 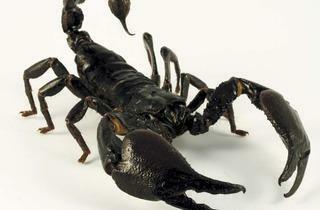 Venomous scorpions enter people’s homes through the pet trade. 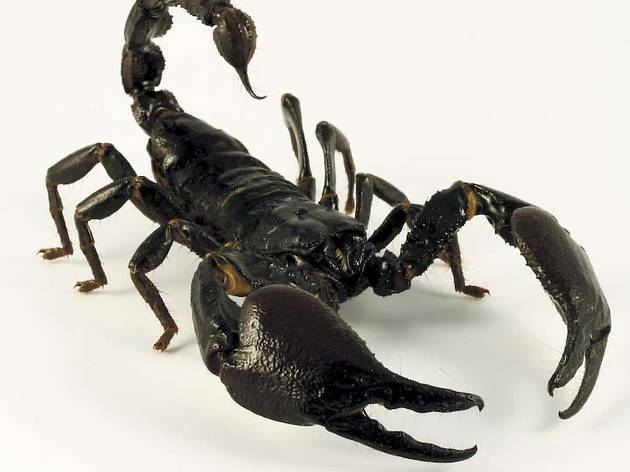 If one stings you, watch out—some insurance companies won’t pay for the very pricey antivenin (potentially in excess of $62,000). View a (poison-free!) animatronic version, just to be on the safe side. Native cultures in Africa use driver ants (also called seafu) to heal wounds. The biting ants are placed across the wound, the bodies are broken off, and—voila!—the ants’ clenched jaws create something like surgical stitches. See a scene with static replications and read about other ways the insect interacts with its environment. Stop by a host of stationary honeybee replicas and read about colony collapse disorder—the often misunderstood cause behind the mysterious 2006 disappearance of many North American honeybees. Seven-spotted ladybugs were introduced to North America in the last 40 years because the lovable beetles battle crop-destructive pests. They also manage to adapt to their environments without harming the area’s biodiversity. 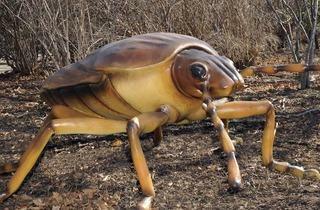 Check out an animatronic version, which probably looks a bit less cute than the real thing. “Extreme Mammals” runs through January 6 at the Field Museum (1400 S Lake Shore Dr; fieldmuseum.org). 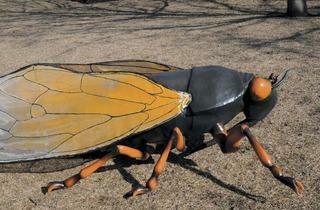 “Xtreme BUGS” runs through September 7 at Brookfield Zoo (3300 Golf Rd, Brookfield; brookfieldzoo.org).